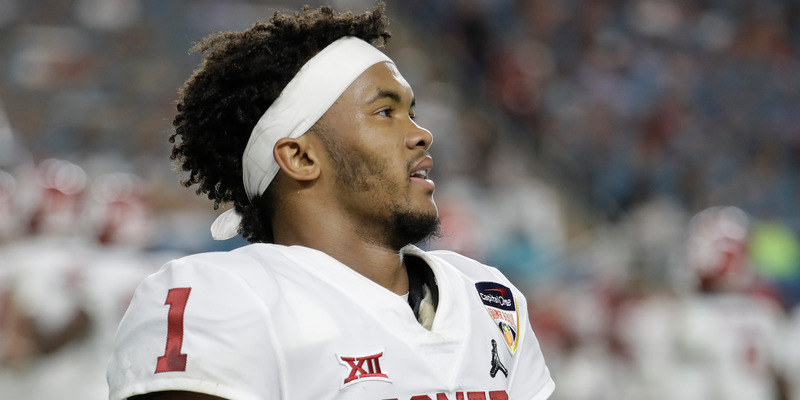 Heisman Trophy-winner Kyler Murray announced he would play football over baseball. As Murray prepares for the NFL Draft, much of the discussion will be about his height and if he’s tall enough to play quarterback in the NFL. There’s one problem with the discussion: Oklahoma’s website lists Murray as two different heights on different pages. Now, over the next two months until the draft, much of the discussion around Murray will be about his height. NFL teams get skittish about short quarterbacks, and Murray isn’t exactly built like Carson Wentz or Cam Newton. But just how tall is Murray, exactly? It appears the Oklahoma Sooners — the school Murray attended — don’t even know. On Oklahoma’s website, Murray has a player profile for both baseball and football. The problem is he’s listed at 5-foot-10 on the football page and 5-foot-11 on the baseball page. Plenty of shorter quarterbacks have thrived in the NFL, from Russell Wilson to Drew Brees to Baker Mayfield. With NFL offenses evolving to make quarterbacking easier than ever, Murray’s height shouldn’t be the problem teams once thought it would be.